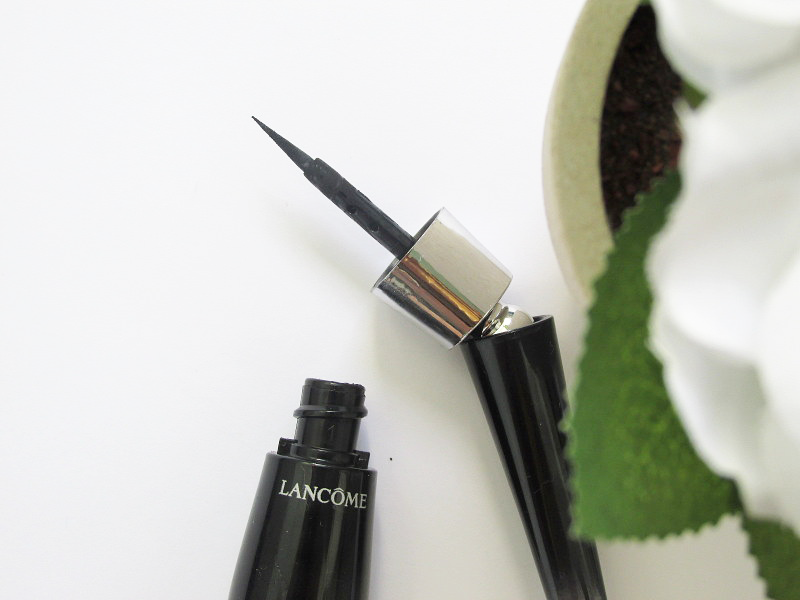 Lancome first caused a huge stir with their swan-neck Grandiose mascara back in 2014; an imaginative design that supposedly changed the way we coated our lashes with the good stuff forever. The curved, angled wand allowed us to apply our mascara without having to awkwardly poke at those little corner lashes and faff around with wrist angles in order to get a full and even coat. Ingenious, stunning and time-saving- I've heard. Having never tried this elegant mascara (as I more often don't have lashes to apply it to, it wasn't worth wasting my money on), when the new Grandiose eyeliner launched this year, my brain thought, 'yes, this is a way you can actually try out this design without needing eyelashes!'. When a family member also recommended it, that was the final push. I caved in and bought this new beautiful eyeliner. Having trichotillomania, liquid eyeliner has been one of my go-to ways to cover up gaps and baldness for the past 5 years. It may seem boring to some wearing the same eye make-up style for so long, but to me, it's a fool-proof disguise that I know and rely on. I know many of my fellow trichster readers feel the same; once you get the hang of the flicks, you can fool anyone! In purchasing this eyeliner, my thoughts were that the bend-able applicator would make this tricky style instantly accessible. More hair loss sufferers would be able to master liquid eyeliner and cover their baldness with ease. Hooray! However, what I found the new Grandiose eyeliner to be was yet another style of eyeliner which also needed mastering, just as much as its cheaper, older counterparts. I'll start with the positives, as I am still in two minds about this industry-changing design. The bottle is stunning. Seriously stunning. Everything about it screams elegance. As we all know, pretty things are great but it's what's inside which counts. Like its mascara sister, the 'wand' bends from side to side and clicks into place. Whether used straight or angled, this applicator is secure and won't see any tell-tale wobbly lines. 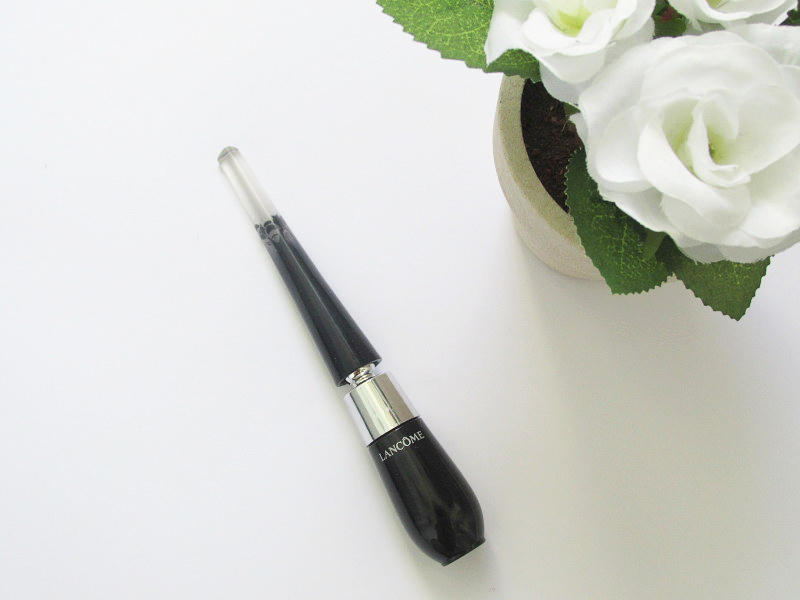 The formula itself is a wonderful jet black with a matte finish, and, as you can see from the photos, the applicator itself has such a fantastically thin nib; this really aids precision and allows you to get a thin, subtle line so close to the lash line. In fact, more so than any other eyeliner I've tried before. This is obviously wonderful if you have lashes, but for us folk who have none, this major selling point gets made a bit redundant. 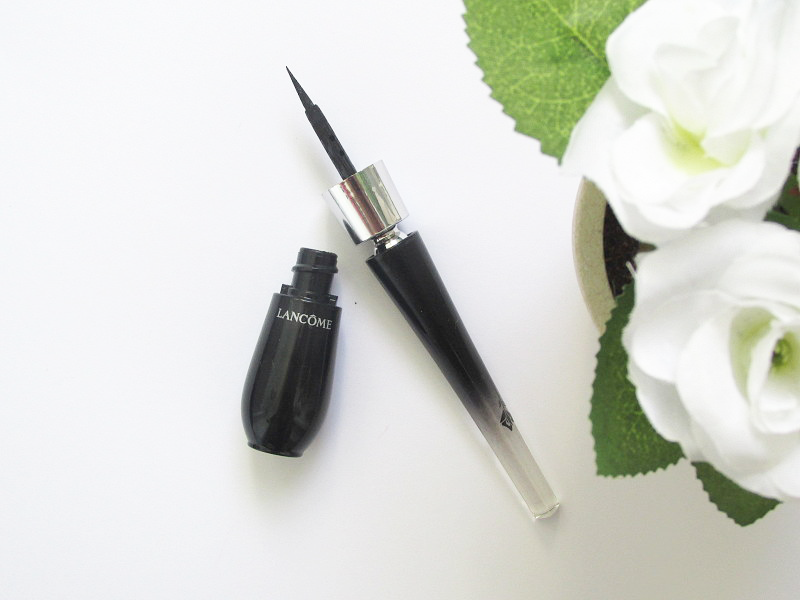 I found that to get this product to work well, you have to keep dipping back in and shaking the bottle; the formula does have a tendency to dry up fairly quickly, which makes me doubt how much use I will actually end up getting out of this little £23 bottle of liquid eyeliner. The 'little lines' technique or drawing your eyeliner on bit by bit doesn't work very well with this eyeliner; it is far better suited to the 'all in one' continuous sweep across the eye without stopping motion. Because of this, I couldn't get to grips with it. I'm sure it would be great for the majority of people, but my eyelash gaps kept interrupting this action and ended up creating a bit of a messy line. The angled wand is OK for winged liner. It certainly makes it a tad easier to line up but I still found the angles of my cat flicks were a bit off. I feel as though you have to be pretty confident with cat flicks to pull this eyeliner off. If you stop and start, the liner will dry up before you've finished your look and end up being too time-consuming. As with the lash line, you need to be able to draw your wings on quickly and in one sweeping motion to really get the most out of this product. It's certainly not the worst product I've used for it, and it definitely is an interesting design to play around with, but at 7am I don't want to be faffing around trying to re-learn how to use liquid eyeliner. I just want a quick, easy and effective product that gets the job done. Maybe once I've become accustomed to this design it will be a life-changing product. Who knows? But after a few weeks of using it, I still end up faffing around and get so frustrated I've ditched it entirely, only to go back to my favourite £4 Collection eyeliner which seems miles better. At £23 for a little pot which seems to dry up relatively quickly, part of me thinks this is a little overpriced for something that talks the talk but doesn't walk the walk. Interesting? Yes. Innovative? Definitely. Pretty? Hell yeah. But if you're the kind of person that actually wants efficiency when a brand promises it, this eyeliner is perhaps not for you. 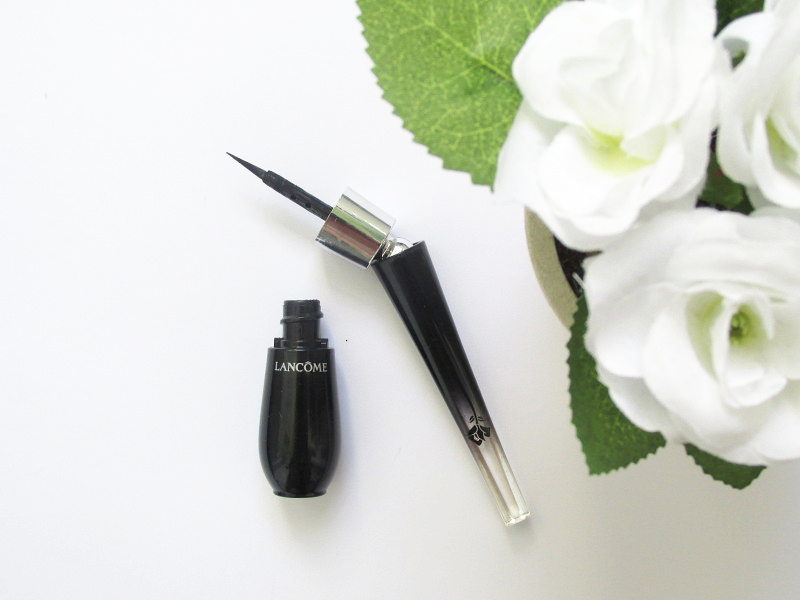 Have you tried the new Grandiose eyeliner? What do you think of it? 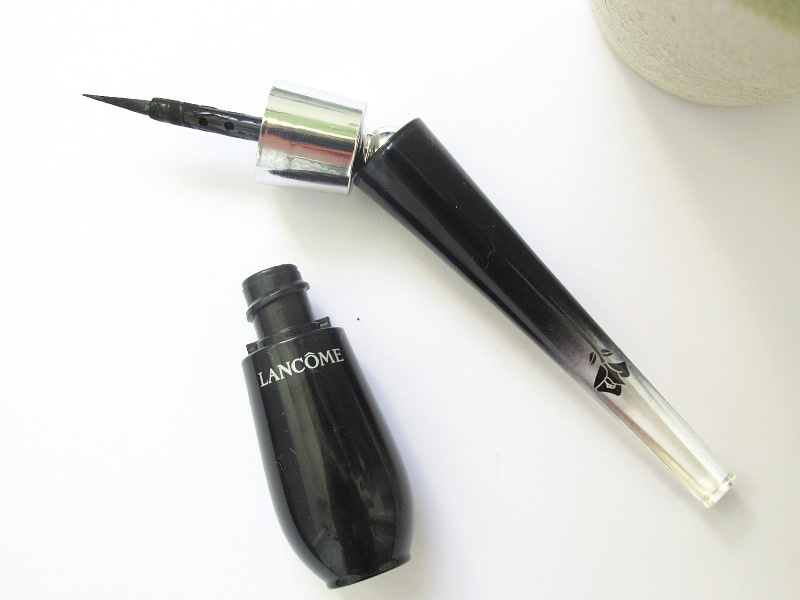 What are your favourite liquid eyeliners?